If you support the IFoA as a volunteer (member or non-member), or in any other role, and you are going to be in Liverpool on 22 November, please book your place and join us at our free-to-attend Volunteer Recognition Reception. Dr Xand van Tulleken will be delivering the opening plenary on Wednesday evening while Faisal Islam, Political Editor for Sky News, will be delivering the closing plenary on Friday 23 November. We also delighted to confirm that award-winning comic, actor, author and BBC 1's QI panellist, Alan Davies will be our after dinner speaker. In 2017 Xand’s projects included a thrilling anthropology / adventure series, Expedition Volcano, for BBC2 and a BBC1 current affairs film, Fighting For Air, about the horrific levels of pollution in British cities, and how it affects us and our children. Both programmes were critically acclaimed. Xand also filmed ‘Truth About Carbs’, which aired in June 2018. Faisal Islam is a political and economics journalist who, since 2014, has held the role of Political Editor for Sky News. Faisal has interviewed many high profile names and is not afraid to challenge in difficult interviews; winning the Royal Television Society Award for the interview of the year in 2017 for his interview with David Cameron. 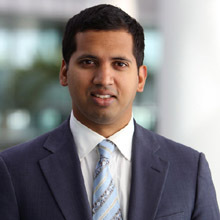 Prior to working for Sky, Faisal worked as a reported for The Observer following which he moved to television and spent ten years working for Channel 4; first as Business Correspondent for Channel 4 News and then moving onto Economics Editor, again for Channel 4 News. Faisal has been at the forefront of business, corporate and political stories; reporting on the ups and downs of the corporate world. He has exposed the Icelandic banking crisis, watched Lehman Brothers fall from Wall Street, investigated emerging economies in India and Singapore and interviewed everyone from the Prime Minister to the President of the World Bank. 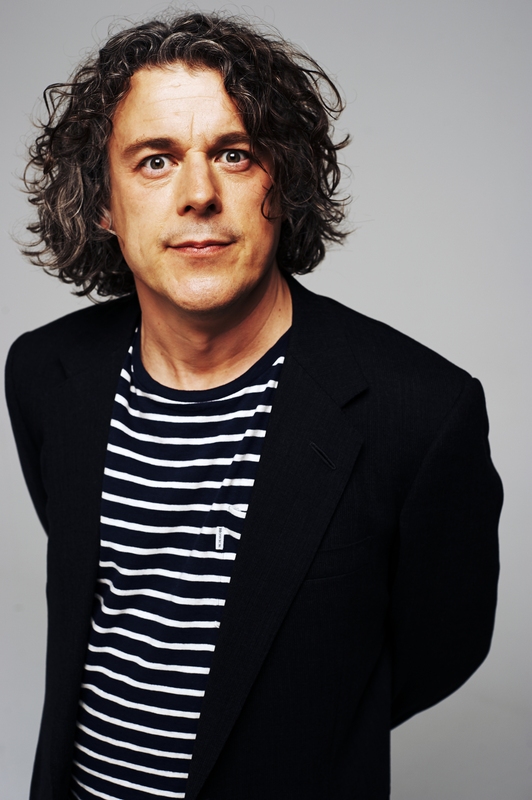 After starting out as a stand-up comic in 1988, being named Time Out Best Young Comic in 1991 and receiving the Critics Award for Comedy at the Edinburgh Festival in 1994, and after three series of his own comedy show on Radio 1, Alan took the role of Jonathan Creek, written by David Renwick, which won a BAFTA Award for Best Drama in 1997 and a National Television Award in 1998. Penguin published Alan’s first book, My Favourite People and Me 1978-1988, in 2009. The book became documentary series for Channel 4 called Teenage Revolution and is available in paperback under that title. Plenary session Wed, 21/11/2018 - 20:00 - 21:00 Plenary 1: How to live forever: a definitive guide for actuaries! There has never been a more confusing time to try to understand how to live a better life: scientists, newspapers, television and social media provide us with an endless barrage of contradictory and confusing information. Xand will tidy up the mess and examine how it’s possible to get the most out of ourselves, addressing a question that has troubled the great thinkers of the ages through all of time: “what can I get away with?”. We all need to be professional in what we do. This doesn’t simply mean getting the technical aspects right. Just as important is how we get the message across to our clients, colleagues and stakeholders and how we interact with them. Are we being professional in doing this? Are we treating others with due respect? Where else do we need to consider what message we are giving? So much focus is given to the financials of insurance companies. We make sure the balance sheet does indeed balance, we stress test it and report on its resilience. But what about the people who prepare these finances? How well balanced are their lives? What is their resilience like? Do you focus on their wellness? In this presentation, we look at how to maintain happy and healthy finance teams. We will illustrate the framework developed in our paper "A Generic Framework for the Economic Valuation of Insurance Liabilities". To make it accessible and interactive we will employ a similar style to that used for our recent article in the Actuary magazine titled "Margins for error".We will first describe the simplifying assumptions underlying the standard cost-of-capital approach and then generalise these assumptions.We will then show how the resulting risk margin should be calibrated, using examples.Lastly we will compare the proposed generic valuation framework with other approaches, including MCEV and IFRS 17, and provide an interpretation of the cost-of-capital parameter used in Solvency II and comment on the recent debate surrounding this topic. This is an ARC/IFoA funded project IFoA's forefront research ”Minimising Longevity and Investment Risk while Optimising Future Pension Plans" seeks for new pension products that keep customers' needs first. In the confusing environment of pension freedom, we go through the existing knowledge of decumulation strategies.We present leading ideas and identify promising areas for our future research. A06: What is the right way to value no-negative equity guarantees on equity release mortgages? The presentation will cover the findings from academic research on valuation techniques of no-negative equity guarantees and how they can be applied in the actuarial management of equity release mortgages. It will cover theoretical approaches to the valuation of the NNEG, but it will also include a proposal on practical ways to apply these methodologies in practice so that they can be adopted as common actuarial practice for the pricing and valuation of NNEG liabilities within life assurers. JFAR’s Risk Perspective: 2017 Update was published in February 2018.This interactive session offers actuaries a unique opportunity to engage with JFAR’s representatives and gain insight into JFAR’s thinking in identifying its nine key risk hotspots, debate the regulators’ view of risks to high quality actuarial work and share ideas and influence JFAR’s actions to support actuaries and users in responding to the hotspots. JFAR's hotspots reflect actuaries' diverse roles in the rapidly changing business world; including Political and legislative risk, Climate-related risk, Financial security and Technological change. The JFAR is a collaboration of the FRC, IFoA, FCA, PRA and tPR that aims to identify and analyse public interest risks to which actuarial work is relevant. Capital optimization has been the mantra of the post-Solvency II world – but what does it look like in practice? Through a case study of a recent transaction between LV= and RGA, brokered by Aon, we will provide a real-life perspective on cracking one of the toughest nuts: deferred annuities. We will explore various aspects of the deal, such as - the difficulty in managing competing financial metrics, - dealing with policyholder behaviour risk, the competitive landscape and - the key ‘softer’ factors that enable a successful transaction. And all within the complexity of a UK with-profits fund. The presentation will feature different perspectives from all the major parties involved. This session will cover what the IFRS17 standard requires when setting discount rates (taking actuaries out of their comfort zone – not necessarily based on the assets you actually hold!) considerations for UK annuities, where the impact is potentially very material considerations for with profits and Universal Life business with investment guarantees practical experience of converting the standard into discount rates for use in a global insurance business. B01: How do you deal with a problem like Brexit? How likely it your firm may breach SCR this year? What event is most likely to cause this and what can be done about it?These are some of the most important questions to be addressed in the course of good risk management. Solvency II SCR models often fall short as they do not incorporate effects such as changing SCR/Risk Margin or the realistic effects of VA/MA. To be able to accurately answer the initial questions, a Stochastic Full Balance sheet model is required. This is complex and challenging area in which I have developed a number of unique and industry leading techniques. The key focus is to discuss the motivation for the model and demonstrate the key techniques. Join the IFoA’s Regulation Team to hear all about the recently published changes to the Actuaries’ Code and other IFoA regulatory updates. The changes to the Code, which are due to come into force in mid-2019, follow a period of detailed research and analysis by the Actuaries’ Code Review Working Party, as well as the recent public consultation which took place between October 2017 and January 2018. At this session you will have an opportunity to ask questions about the changes being made as well as plans for the roll-out of the new Code. You’ll also hear more about the accompanying Guidance being introduced to accompany the new Code. We will also provide insight and updates into other IFoA regulatory matters, including the consultation into proposed monitoring of actuarial work. The session will include some interactive case studies aimed at bringing the new Code to life. Climate Change has the potential to change significantly the economic and social landscape in which life companies operate, with implications for the work of life actuaries today. This working party was established to produce a practical guide for life actuaries, including the following topics: Identify Climate Change issues of relevance to life actuaries, provide a summary of these issues, with links to more detailed information, identify the main implications of these issues for the work of life actuaries, suggest practical steps that life actuaries can take to reflect Climate Change in their work, illustrate the implications and practical steps using case studies. B07: Are actuaries good at setting asset allocations for insurers? Many actuaries engage in setting asset allocations for insurance assets; but how effective are actuaries and actuarial technics? Through experience, we take a look at what a modern asset allocation process looks like. We compare with how we typically see actuaries approach / how the profession teaches asset allocation, highlighting what actuaries do well and not so well with examples to answer questions such as: Are the approach, models and assumptions appropriate? Is there overreliance on these? An appropriate focus on risk management? Are the right metrics used? Is there sufficient external market linkage? Finally, we look at cutting edge approaches to asset allocation in the wider market; and what challenges they might pose for actuaries incorporating them into processes. The PRA’s consultation paper on Matching Adjustment under stress (CP24/17) imposes significant demands on annuity providers. In particular, the “5-step method” requires dynamic portfolio rebalancing, whilst allowing for changes in liabilities, constraints on matching quality, and an allowance for portfolio concentration. An impossible task...Or is it? Enter Mighty Mouse. We sketch a potential route to stochastic implementation, drawing on the speed and flexibility of open-source software such as R. But the story needn’t end there - open source plus open imagination equals great opportunities, and we touch on this too. Come join us with an open mind. With the IFRS 17 standard coming into effect on January 1, 2021, a number of companies are already well into the implementation phases of IFRS 17 projects. This talk will look at some of the biggest areas of challenges in implementation projects, including technological and modelling issues. We will also discuss the interplay between financial reporting and actuarial choices and their implications for the design and successful implementation of an IFRS 17 system. From there we will present some key principles that we believe are critical to a successful implementation. Finally, we will look at some of the business challenges of IFRS 17. We've all heard about advances in robotics and Artificial Intelligence. But what does this mean in the short-term and how is it changing the way insurers run their back-office? In this cross-disciplinary presentation, we combine actuaries with robotics specialists to look at what cutting-edge insurers are doing to deploy robots and automate functions across their reporting and back-office processes, and how this may influence the future of the industry and profession. We look at different types of automation (robotic, intelligent, algorithmic), how operating models need to be refined to optimise automation and empower people, how areas conducive to automation can be identified and pilot trials launched, issues of governance and case studies on what the leading innovators have done. C02: IFRS 17 - Only 2 years to go, where are we and what are the key issues for the UK market? Brexit has brought with it unprecedented changes to how UK insurers which write European business will operate in the EU post-Brexit. In this case study, we look at the various issues considered by Royal London in setting an Irish subsidiary to continue writing its Irish business post-Brexit as well as dealing with blocks of legacy business written in Ireland and Germany. Issues include Solvency II, capital requirements, collateral, tax and the treatment of the existing Irish business. A particular aspect of this case is the reassurance back to the UK of two with-profits blocks, and we will cover both the rationale and the practical issues arising. C04: Suicide - can insurers become Samaritans? There is strong evidence that having a term policy influences the incidence and timing of suicide among policyholders. Network Rail and the Samaritans, have launched a programme aiming to reduce suicide. Should we consider something similar? We will discuss the population statistics and insurer experience in the UK and abroad. We’ll consider current T&C’s, typical patterns of policyholder behaviour, and what the industry might do to help prevent suicide. One of the speakers will share his experience of becoming a Samaritans listening volunteer. C05: Is the medical history more important that the medical future in predicting mortality? In traditional underwriting practices, the insurer collects information about the policyholder's health at the point of sale. The insurer then waits for claims trigger, and might incur claim checks expenses. Higher the claim check costs are associated with lower underwriting standards. This session will discuss the idea of continuous underwriting (i.e. monitoring the health of the policyholder continuously between the point of sale and the claims trigger). The author will provide literature evidence, and statistical analysis of mortality prediction models comparing the traditional practice and the suggested continuous underwriting using the English Longitudinal Study of Ageing. The Life Reinsurance Working Party has been examining the effectiveness of reinsurance arrangements. Given how powerful a tool reinsurance is for profitability, risk & capital management, we have set about identifying misconceptions, inefficiencies and mistakes that are surprisingly common, and which prevent reinsurance programs from truly being optimal. The diversified membership of the WP drew upon their own experiences as well as seeking input from external experts to capture a wide source of viewpoints on the good, the bad and the ugly of life reinsurance. In this session we present the highlights of the project and look forward to further debate on the topic. With a rapidly ageing population, rising prevalence of diseases associated with reduced ability to perform activities of daily living, public funding constraints and supply-side care cost inflation, we consider future demand for and costs of long-term care in the UK. In this session we consider growth in the demand for protection products, as well as opportunities for insurers to develop novel products to meet such needs. We consider the challenges facing insurers in developing this market and consider lessons that can be learnt from successes abroad and from past mistakes. Finally, we consider how insurers and other stakeholders can contribute to the development of the UK LTC insurance market, focusing on five “-ations”: clarification, education, standardization, taxation and innovation. C08: Could technology replace the With-Profits Actuary? Through better use of technology, Royal London has been able to automate some of its With-Profits Management processes. This has significantly reduced the effort needed to manage the fund, simultaneously ensuring processes are more robust and better controlled. This has resulted in reduced operational costs, allowing actuaries to focus on the real issues in managing a With-Profits fund. We will talk about what Royal London has done, the benefits of this and the benefits this can bring to With-Profits management generally. This talk is a follow on from last year's Life conference EI talk on millennials, ikigai, and well-poisoners. This year, we're covering some further practical ideas on how you and your teams can use core EI skills such as self-awareness, and the awareness of others, to increase your effectiveness at work. The talk is aimed at people who lead actuarial and finance teams, and will cover areas including;- groupthink- reality tunnels- dealing with uncertainty- destination addiction. Again, we're confident this will be a thought-provoking and practical session. This paper introduces a new pension contract which provides a smoothed return for the customer. The new contract protects customers from adverse asset price movements while keeping the potential of positive returns. It has a transparent structure and clear distribution rule, which can be easily understood by the customer. We compare the new contract to another contract with a similar product structure. The results show that the new contract is a more attractive contract for a CPT-maximising customer. Moreover, this paper presents the static optimal portfolio for an individual customer. The results conform to the traditional pension advice that young people should invest more money in risky assets while older people should put more money in less risky assets. The Risk Margin has proved to be one of the most controversial aspects of Solvency II: it is accused of destabilising balance sheets and causing insurers to fundamentally change product and reinsurance strategies. So what is the purpose of the Risk Margin? Does it do more harm than good? Is it flawed in concept, is it mis-calibrated or does it actually enhance policyholder protection? And how would actuaries redesign the Risk Margin if we started from a blank piece of paper? The Risk Margin Working Party’s membership covers insurers, banks and consultants from the UK and overseas. We will present our research findings on these topics, and discuss the latest developments in the UK and internationally in this topical area. Global credit hedged back to Sterling: We present an analytical framework for the optimisation of MA portfolios across Sterling and non-Sterling credit, taking into account yield differentials, hedging considerations and specific sectors and maturities. Illiquid credit for front-end liabilities: There has been growing use of assets such as Equity Release Mortgages and social housing to match long-dated liabilities, but there has been less focus on the front-end. We will present a range of high-quality illiquid credit opportunities for insurers for matching front-end liabilities. While the impending adoption of IFRS17 has wide-ranging valuation and reporting implications, it is also a catalyst for life insurers to challenge their existing business model and transform to become fit for the future. In this talk, we will look at the current trend for transformation within the life insurance market - through cost reduction, outsourcing, deals and otherwise - and consider how the actuary can expand their role to help the business better understand the strategic and commercial implications of their operational decisions. D07: How will the IFRS 17 discount rate impact the balance sheet and profitability for insurers? The new IFRS17 accounting standard will introduce fundamental changes to the way that insurers account for their business. •Overview of different approaches to set the discount rate under IFRS 17 (“top down” and “bottom up”). •Challenges when estimating the illiquidity premium under IFRS17 under a “bottom up” approach. •How the estimation of the illiquidity premium affects profitability and potentially investment decisions for different products. •Differences between the IFRS17 and Solvency II balance sheet views. •How to approach balance sheet and P&L resilience under the new regime? One of the with-profit funds had historically been distributing the Estate, with significant distributions upon closure. Events since 2016 had required a management action to clawback a portion of previous distributions. This fund faces a particular challenge from WP annuities, with a relatively high equity backing ratio and no “terminal” bonus component. The solvency monitoring applicable for managing the fund was enhanced, which enabled Estate distributions to recommence. practical insights from the work. In this talk, we focus on some of the sticking points and examples of difficulties that can be encountered in practice, including matching adjustment eligibility, issues presented by book value accounting, transferability restrictions and incentivisation of individual portfolio managers. We discuss how Phoenix and other insurers have found solutions to these issues by exploring methods of restructuring assets and alternative approaches to sourcing, originating and providing funding. The rapid convergence of the skilled human with the intelligent machine is changing business models and transforming the playing field at breathtaking speed. It is a world going hyper-digital with many and varied consequences for the insurance space. This presentation is the culmination of global research conducted in 2017. The findings show how the financial world not only views the future but is adapting to survive and succeed in this exponential space. The presentation will include professionally produced video clips of leading experts from around the world expressing their views. The presentation will challenge you to think how future-fit you and your organisation are. Plenary session Thu, 22/11/2018 - 16:05 - 17:05 Plenary 3: How serious are the pressures on social care? Join us for an expert panel discussion led by Jules Constantinou, IFoA President, on the pressures facing social care. With the Green Paper still yet to be published, debate continues on how to create a sustainable funding system for adult social care that fosters good quality care and the ability to live independently for longer. We will consider the current state of care and the challenges facing the market before discussing the funding models that could be deployed to meet current and future needs. It is likely that a range of financial products will be needed (immediate needs annuities, equity release, pre-funded long-term care insurance) and it may be that different solutions are needed for different cohorts. Optional workshop 1: Curriculum 2019 - speak your students language! Actuaries need new skills and hence likewise the education of trainee actuaries must evolve also. Curriculum 2019 is nearly here and the structure of the exams and some assessment methods will change next year. Come along and learn what your existing students are already talking about. Return to the office armed with enough knowledge to show you understand the new structure and are ready and able to assist their journey through to first job through to qualification. No post session exam! Optional workshop 2: What do we really know about money? Big Data and Machine Learning is already well established in Big Techs and also to some extend in banks and non-life and health insurance. But how about life insurance? With a short introduction and a plenary discussion representatives from life and health reinsurance and management consultancy want to shed light on what can be learnt from other industries, how can we implement effective solutions in life, what are regulatory limitations and how can we handle those. E01: What next for the Concordat and Moratorium on Genetics and Insurance? · Ask what it will take to tip the balance and end the current settlement? Following the issue of the final IFRS 17 Insurance Contracts accounting standard in May 2017, there has been much debate in the insurance industry on how to interpret and apply the requirements of the standard. In this talk will give an update on the latest TRG and IASB discussions and areas of current industry debate and uncertainty. This will include discussion on the following topics: 1. CSM amortisation 2. VFA eligibility 3. Dual CSMs 4. Fulfilment expenses and 5 Lifetime mortgages. We consider the impact of socio-economic characteristics on human mortality. Using the index of multiple deprivation (IMD), we study IMD-decile-specific mortality rates to investigate the impact of deprivation on mortality and to develop a stochastic model that would allow for detailed mortality projections. As expected, we find that mortality rates are higher in the most deprived areas of England, but we also find that improvement rates are lower there too. This suggests widening socio-economic differentials and a continuation of mortality improvements in the least deprived areas. The underlying work is part of the research programme "Modelling, Measurement and Management of Longevity and Morbidity Risk" funded by the Actuarial Research Centre of the Institute and Faculty of Actuaries. Gabi Baumgartner (Head of Deloitte’s Capital Markets Group) will summarise the results from the recent proxy modelling survey covering methods for calibration and validation, allowing you to benchmark your approach against other life insurers. 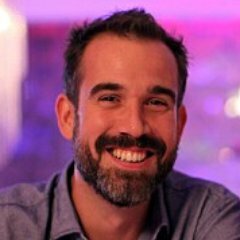 Andrew Smith (Assistant Professor at University College Dublin) will also give a broader view of applications from an academic perspective, explaining areas of divergence between techniques popular in insurance compared to mainstream functional data analysis. The talk concludes with lessons learned and possible improvements. a proposal for a method for quantification of Basis Risk based on the recent paper “Basis Risk in Index Based Longevity Hedges: A Guide For Longevity Hedgers“ by Cairns and Boukfaoui. E10: The Pensions Superfund: the beginning of the end for bulks? The UK bulk annuity market has been growing steadily for the last decade, but perhaps not quickly enough. With two-thirds of the 5,600 remaining DB schemes in the UK facing a funding shortfall, the Government is looking to the market to provide a consolidation solution. Could the Pensions Superfund achieve its aim of holding £500bn of pension scheme assets? And if so, how disruptive would this be to the bulk annuity players? Asia has been about growth. Yet, the Asian insurance markets are currently facing unprecedented challenges with large scale regulatory and accounting changes. IFRS 17 in particular is presenting significant operational challenges regarding data, system and processes. It is sometimes not fully appreciated by insurers that the interpretation of the Standards would not only have financial impact to the companies but also operational impact. In this session, the speaker will present on how Asian insurers overcome these challenges, yet sustaining the growth story. The broad nature of operational risk, as well as the lack of data available means that operational risk modelling has become an area of specific challenge for many firms. A look at trends in the UK and more widely across Europe, considering the market drivers of recent M&As. Key considerations of MCEV, Own funds, discounted cashflow methods and other approaches to valuations to ensure consistency across transactions in multiple territories. Funding transactions, an expected change in the landscape of the life insurance industry and the potential impact of IFRS 17 on the M&A market. A closer look at a number of recent transactions (anonymous); drivers, challenges and outcomes. Use of proxy modelling is prevalent in the Insurance sector. At Royal London, we are developing our own all-risk proxy model using LSMC for IMAP. We have recently set-up a research project to explore solving the same problem using a number of emerging, state-of-the-art machine learning techniques. Specific techniques being investigated include Random Forests, Neural Networks and Lasso Regression, combined with techniques to reduce complexity and spurious accuracy of the proxy function. We expect to use these more advanced techniques as part of our on-going capital modelling research and also to explore whether they can be applied more widely. Finally, we provide recommendations for practitioners working in this area of proxy modelling, based on lessons learnt from our case study. We will discuss how socio-economic background influences rates of death from specific causes and how this has changed over time. - What type of socio-economic variable do we use to subdivide the population? - Which causes of death have the greatest levels of inequality between socio-economic groups? - How have levels of inequality changed over time? We consider data from Denmark, the USA and England. We then discuss which cause of death rates are influenced by socio-economic status in each country and by how much. Finally, how do the three countries compare? F06: Is it the end of the small mutual insurer? From a combined thorough understanding of the mutual sector, OAC and British Friendly will provide a potted history of the insurance industry, starting with founding mutuals, and an analysis of the unique characteristics of what it means to be a mutual insurer in today’s industry, both from an operational and governance perspective. There will be a comparison of the differences between acting for members as opposed to shareholders. It will explore whether the future is bright for the sector and whether mutuals could hold the key to a more competitive insurance industry. Attendees will get a better understanding of mutuality (from unique insight and industry analysis) and practical aspects which could be applied to or considered for their own operations. In 2018, Royal London is looking to complete a "Scheme of Arrangement", offering customers the opportunity to unlock the value of their Guaranteed Annuity Rates and take advantage of Pension Freedoms. The presentation will cover the rationale for the scheme, how it will support the management of the fund going forward and the reflections of the Independent Actuary and WPA on the key issues encountered and judgements made. This talk is presented by members of the IFoA’s Data Visualisation working party. Data Visualisation helps to communicate information clearly and effectively through graphical means. This talk will showcase some visualisations that the working party has found useful for common actuarial situations. The working party’s approach has been to outline problems (eg, viewing an analysis of change) and give suggested solutions (eg, use a waterfall chart because…). Commentary and critique of each problem-solution is given along with the how-to practical implementation. All the examples presented in the talk are viewable on a publicly available blog that the working party are maintaining. Model risk management is becoming an increasing area of focus for many firms within our industry. Models are everywhere within our businesses and due to the sophisticated nature of the risks we need to understand often specialist modelling packages are used. However, these modelling solutions can lead to knowledge residing with a few individuals in the business (key person risk) with others treating the models as “black boxes”. In contrast, Microsoft Excel is a widely used and well understood modelling package but often falls short in other areas businesses require such as model governance. In this session we will look at a case study of a new modelling solution, Milliman Mind, that solves the above issues by enhancing the governance and performance around models built in Microsoft Excel. This enables models to be checked, modified and run by more people across the business and management to gain more confidence in the model output. The case study is based on a recent implementation of the modelling solution with a client. Reinsurance is an area of IFRS 17 where the requirements are unclear and market practise is still emerging. For reinsurance ceded there are potentially big mismatches between the reinsurance and the underlying business. For reinsurance accepted there is less uncertainty but still technical issues remain. This talk discusses some of the key technical and modelling challenges of Reinsurance under IFRS 17 and how they can be managed. G02: Dynamic Volatility Adjustment – the next step for managing your capital needs? -Discuss challenges for firms to consider when developing a DVA solution. Business decisions are often made by Boards and Committees that are many steps removed from the analysis underlying recommendations made by Actuaries. Making these recommendation and delivering messages at Board and Committee meetings is not always an easy task. How do get everything across in your tiny time slot? Who is already on your side, and who do you need to target? How do you deliver a difficult message that doesn’t want to be heard? -guidance and tips from a panel of experienced practitioners. In this session the IFoA’s Matching Adjustment (MA) working party takes a look at some of the key challenges firms are encountering on a day-to-day basis when running their MA portfolios. These range from adding new types of liabilities to existing MA portfolios (for example from pension scheme de-risking), through to dealing with distressed debt (e.g. in the case of private credit loans). We will use real life case studies to bring the session to life, and we will put forward our thoughts on additional guidance that would be useful for firms, as well as potential and practical ways for firms to deal with some of these challenges. New techniques such as liquid biopsies, immunotherapy, genetic testing and gene treatments are revolutionising the detection and treatments of cancer. In this session we take a look at recent critical illness trends in the UK and around the globe and discuss how these medical miracles might impact trends in the future. Will the major improvement in cancer survival be outweighed by greater anti-selection or earlier detection? Where does the obesity time-bomb fit into all this? Finally, we ask the ultimate question on whether the CI product needs its own miracle to survive? How do you create an emerging risk process which consistently delivers compelling insights, on the right topics, in a way which drives actions and which the Board name as their favourite agenda item? This session will show you examples of how to create dynamic and novel content using your company's experts, complemented with artificial intelligence, and how to communicate it effectively to a range of executive and non-executive audiences to prompt action. G08: The end of internal optimisation? With the implementation of Solvency 2, a number of (re)insurers have looked to optimise various metrics such as capital, volatility and earnings. Most of these have been mostly achieved through internal actions such as using the tools defined by Solvency 2 (e.g. MA) or strategic structures (e.g. use of internal reinsurance). Recent trends have shown an increase in M&A and increase in external reinsurance which beg the question on whether optimisation is becoming externalisation. We will also look at strategies from different players in the market. Faisal will talk about the current political climate vis a vis Brexit and share with you some hidden secrets about how we have got to where we have got to in the Brexit negotiations. Conference presentations will be available two weeks before the start of the conference. C2: IFRS 17 - Only 2 years to go, where are we and what are the key issues for the UK market? D7: How will the IFRS 17 discount rate impact the balance sheet and profitability for insurers? E1: What next for the Concordat and Moratorium on Genetics and Insurance? G2: Dynamic Volatility Adjustment – the next step for managing your capital needs? G8: The end of internal optimisation? Bookings are now closed. Please contact Waleed Soliman to be placed on the waiting list. ACC Liverpool is a short taxi or bus ride away from Liverpool Lime Street station.